6. 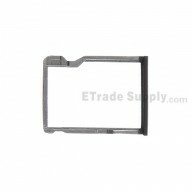 SIM Card Reader Flex Cable Ribbon. This item does not compatible with motherboard of windows system. 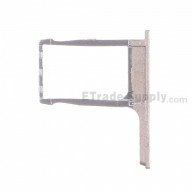 This HTC One M8 LCD Assembly includes the LCD, digitizer touch screen, front housing, Top and Bottom Cover, SD Card Reader Flex Cable Ribbon and SIM Card Reader Flex Cable Ribbon. This HTC M8 5.0 LCD Screen Assembly is branded with HTC logo on the bottom, please note. This item is red and we also supply blue, silver, gold and gray items, please note. This LCD Digitizer for HTC One M8 is non-original replacement and we also supply brand new and original lcd assembly with frame. This replacement LCD Screen and Digitizer Assembly is compatible with HTC One M8 only.